This month, The Weekend Gourmet Dines Out is featuring one of our favorite weekend brunch destinations: Corner Bakery Cafe. 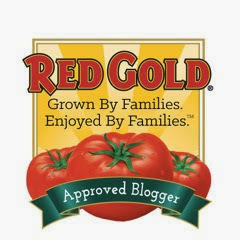 This casual dining restaurant chain is based in Dallas, and we have two locations here in San Antonio. We love to go visit the Alamo Quarry location for yummy food and delicious bakery items that are reasonably priced. We recently stopped by for Sunday brunch to try some of their signature menu items, as well as some of their new seasonal menu offerings. Since it was a midday visit, we decided to try a few breakfast offerings...as well as some of their lunch items. It was a beautiful early Summer day, so we sat in a corner booth that was surrounded by windows and lots of natural light. Then, it was time to look over the extensive menu and decide what to order. We started out our visit by stepping up to the counter to order our food. Ordering is quick and simple thanks to the helpful staff...the hard part is not getting distracted by the gorgeous baked goods on display! 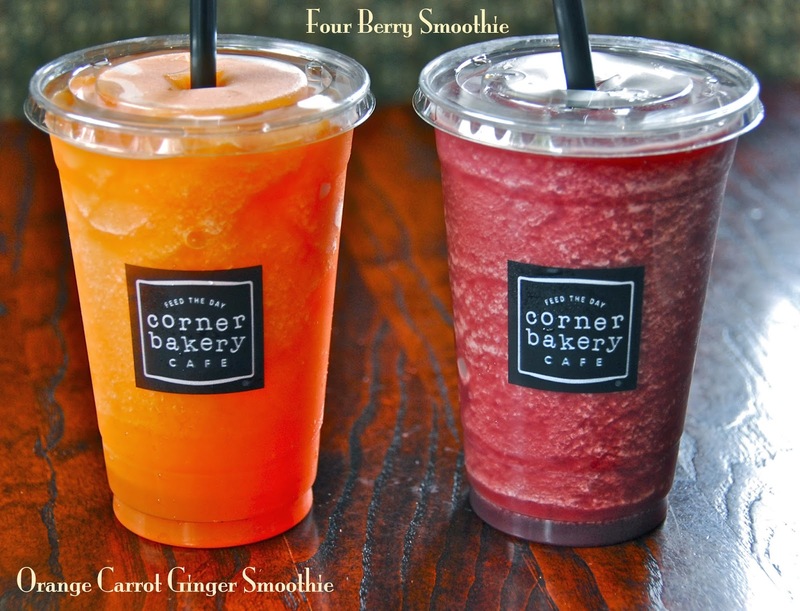 We started out by ordering a duo of Corner Bakery's delicious all-natural seasonal fruit smoothies: Orange Carrot Ginger and Four Berry. I was pleasantly surprised to discover how much I enjoyed the flavor combination of orange, carrot, and ginger. The carrot flavor was very mild, and the zing of the ginger worked perfectly to balance the citrus and veggie flavors! The berry smoothie was sweet-tart and perfect for berry lovers. Next up was a soup and sandwich pairing. 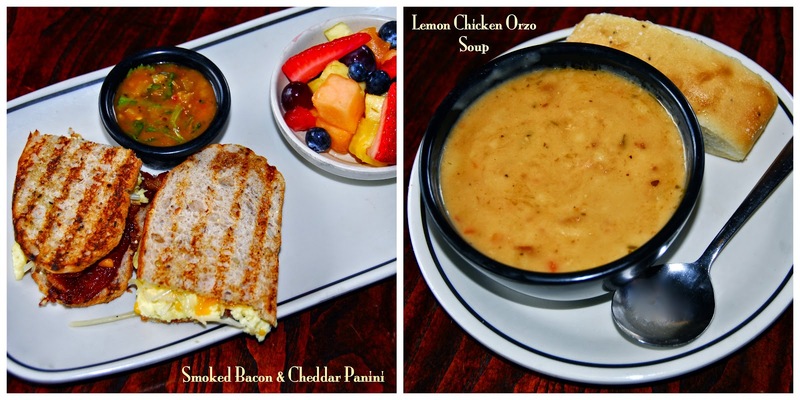 Our soup was the refreshing Lemon Chicken Orzo, and our sandwich was the Smoked Bacon and Cheddar Panini from the breakfast menu. Both were excellent! The soup was creamy, with pieces of chicken and a slight tang from the addition of lemon juice. This soup was so comforting! I really enjoyed the breakfast panini too. Scrambled eggs, cheddar, and bacon were served inside grilled sourdough. The fresh fruit cup served on the side was perfectly ripe and sweet. 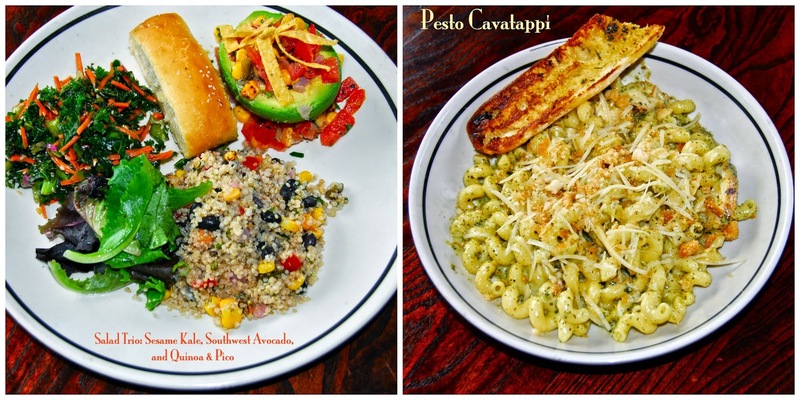 We also tried two items from the lunch menu: a customized Salad Trio and their signature Pesto Cavatappi. The Salad Trio lets you combine any three side salads from Corner Bakery's extensive menu. We opted to try three seasonal offerings: Sesame Kale, Southwest Avocado, and Quinoa & Pico. All three salads were colorful, flavorful, and healthy. Being an avocado lover, I especially loved the Southwest Avocado Salad: an avocado half filled with a corn salsa and tortilla strips. 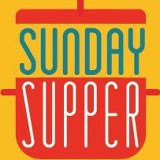 It paired especially well with quinoa salad, which contained corn and black beans and was tossed with a lime vinaigrette. The pasta is the perfect dish for pesto lovers...wavy pasta and chicken are tossed in a creamy pesto sauce and topped with parmesan cheese. This dish was rich and flavorful, and it was plenty for us to share. 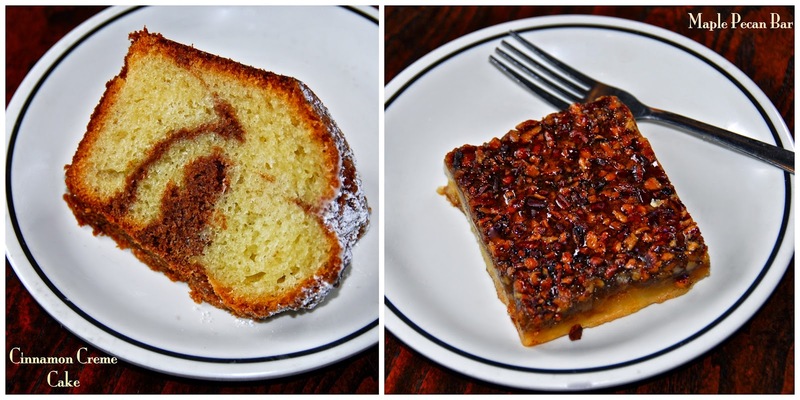 We rounded out our meal with two of their signature dessert items: a slice of Cinnamon Creme Cake and a Maple Pecan Bar. Both were expertly prepared and delicious! The cake was moist, with a wide ribbon of cinnamon crumble. The pecan bar was like a decadent Southern pecan pie with a shot of maple syrup added for good measure. It was gooey, nutty, and delicious. With that, our visit to Corner Bakery Cafe was complete. 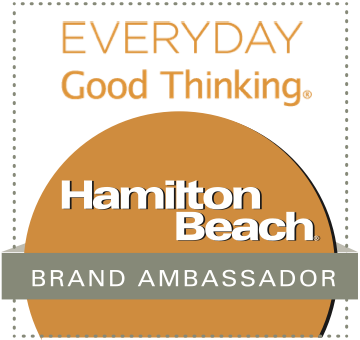 Corner Bakery Cafe is based in Texas, but they have 165 locations across the United States. To find a location near you, check out their handy location finder. 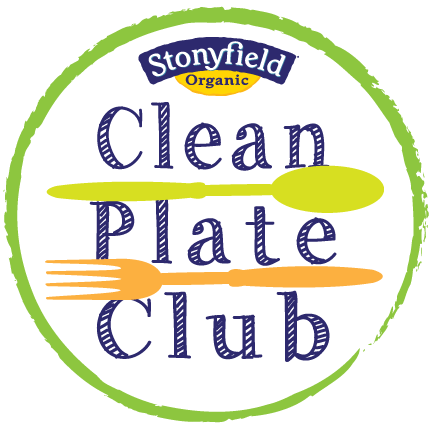 Whether you're looking for a refreshing fruit smoothie to enjoy on-the-go, a hearty breakfast, light lunch, or even an afternoon baked good to munch on...their menu has just what you're looking for. I love it when a restaurant provides delicious food that is reasonably priced...and is served by friendly employees. Corner Bakery Cafe offers all of this and more, which is why it's one of our go-to places to enjoy a relaxing weekend brunch. Disclosure: Corner Bakery Cafe hosted us for Sunday brunch to facilitate our article. All opinions expressed are my own, and all photographs are copyrighted by Michael K. Garcia. They may not be copied or otherwise used without prior permission.